Scratch that, I was scared. I hadn't done anywhere near 15 in a long time. You know when you are afraid to fail and you start thinking of every possible reason NOT to do what you need to do? But nowadays I know that when I feel those feelings I MUST do it. I got the 15 reps and more. Ended up with 20- matching my ALL-TIME personal high from over 10 years ago. I'm not telling you this to brag. 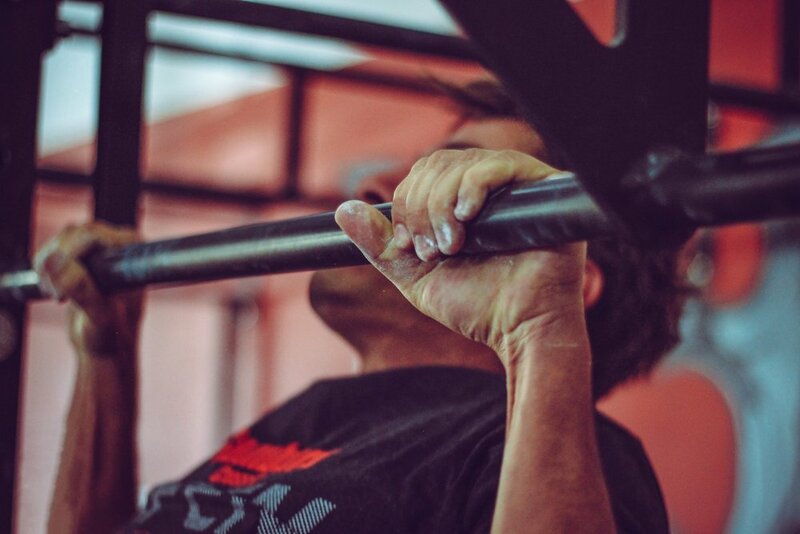 It's one of the little known ways to make continued progress with your training. Pick a number that's just out of reach and scares you a little bit. The feeling you get when you set a new PR is invigorating. And the other little known way to accelerate your progress is to keep a training journal. This kinda goes hand-in-hand with setting PR's. Keep track of your workouts so you can beat them and to look back and see how far you've come. Highly underrated and I know many people don't have a training journal. Keep track of your numbers and strive to beat them. It won't happen every day of course.. or even every month.. sometimes you go months or longer before you set a new PR, but they are even sweeter when you do. Set some PR"s and keep a training log. Newer PostConfessions of a 20 year "gym person"